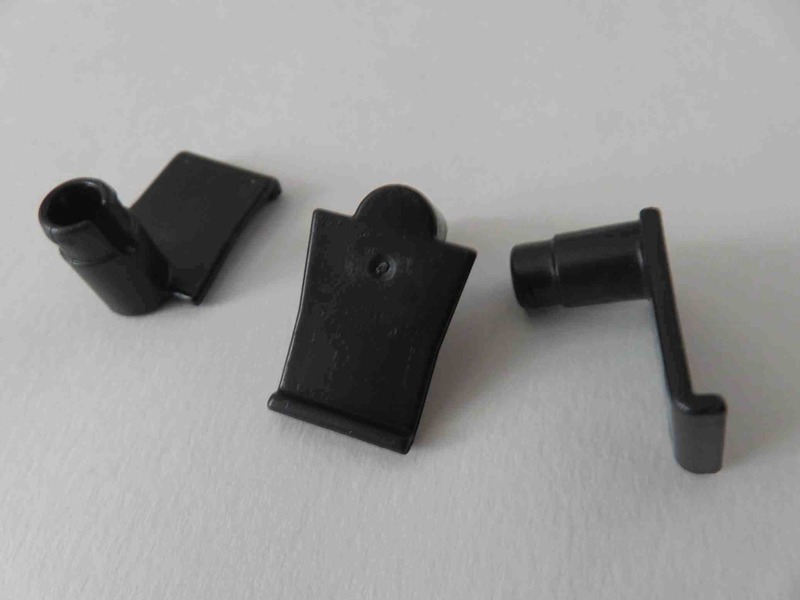 I have absolutely no idea what part this is, I just know it is playmobil. Maybe someone here can help solve the mystery? Re: What can it be? Can you give an ideas as to the size, please? That might help. Maybe off a vehicle? The stub axle with the wheel on slots into the circular opening. There is something lurking in the back of my mind - as you say, tahra, they look awfully familiar. That MUST be it! Thank you so much playmofire!!! "Three wheels on my wagon..."?